These days we mostly watch movies at home. Obviously it’s great because not only do we always have the best seat but we can sprawl all over it. Do people go to the cinema anymore? I wouldn’t really know. These days we mostly watch movies at home. Obviously it’s great because not only do we always have the best seat but we can sprawl all over it. However, there’s one main minus: the actual act of choosing a film to watch at home is terribly arduous; verging on stressful. Back in the day before Apple TV or IP TV or Netflix, all you had to do was: 1) open the newspaper; 2) check which films were being screened at which cinema; 3) point your finger at the one that tickled your fancy and go and watch it. Quite a straightforward procedure. You choose your favourite out of a maximum of six releases. Now, it’s not like that at all, at least not in our household. First we spend ages going through the list of new and not-so-new re­leases. Then, each one of us makes a shortlist, then we watch the trailers, then we check the ratings on Rottentomatoes.com, then we compare that rating with the IMDb.com one, and then, if we’re lucky, by 11pm there’d be a consensus and we press play. Yes, I know, sometimes it does feel like we’re negotiating Brexit. In the age of home-movie watching, this is what the big screen should be all about – a celebration of timeless classics. 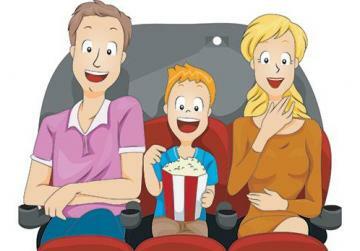 Therefore, when a movie comes along, usually in wintertime, which everyone in the household wants to watch, we make a family outing of it and we all traipse to the cinema. Bohemian Rhapsody was one such film. We were six of us watching it – ages varying from 49 to 12. Those (two) of us over 40, obviously grew up with Queen in the background, so it was all very nostalgic. Those under the age of 25 were very, very vaguely aware that Queen is that chap with a moustache who sings We are the Champions. For those two hours, it felt like the cinema hall was Wembley. Ah, there’s nothing like the elation of communal singing in a stadium. By the end of the movie, the 12-year-old and the 18-year-old were completely hooked. Since then, they haven’t stopped You Tubing Freddie Mercury and Queen videos. Also, I had never really paid any attention to the lyrics – apart from parroting the obvious chorus – and I had never realised that they were so rich in language and loaded with histori­cal and political references. I mean, consider the beauty of these lines in Killer Queen: “She keeps her Moet et Chandon/In her pretty cabinet/Let them eat cake, she says/Just like Marie Antoinette”; or the lyrics in Bicycle Races: “Cartier, I say please/Income tax, I say Jesus/I don’t wanna be a candidate/For Vietnam or Watergate” or “Turned away from it all like a blind man/Sat on a fence but it don’t work” in Under Pressure. 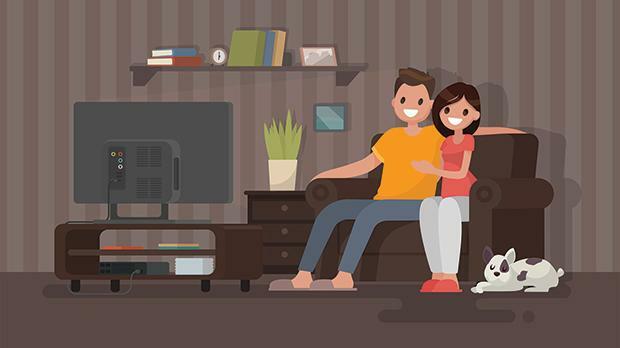 How do you solve a problem like choosing a movie to watch at home? By watching a series, of course. I’m always stalking friends with the question “so what series are you watching?” because I’m in permanent search for one good enough to match our moods evening after evening until we get through all the episodes of all the seasons. A couple of years ago we started the Washington-based House of Cards. Totally addictive, absolute­ly soul destroying. We got to the third season and stopped there – back then we lived the dark world of politics, and it felt agonizingly too real. So then we moved on to Downward Dog, a comedy commentary by Martin-the-philosophical-dog which we loved because we are hopeless dog softies. We started innumerable others, The Crown (one of us, not me, dozed off), Breaking Bad (gave me palpitations and a nervous tic), Black Mirror (we felt engulfed by blackness) but not always managed to finish them off. Finally this winter we seem to have found the right balance with the historical Medici: Masters of Florence (Rotten Tomatoes gives it 50 per cent; IMDb rates it 7.9 out of 10, argh!). It’s about the Florentine family who practically created the Renaissance. Of course, there’s the usual power struggle, the plague and a few murders here and there, but it’s offset by the beautiful rolling Tuscan hills, the art and the beauty of the Florentine architecture. I give it 80 per cent because it’s about human nature and how culture and beauty are humanity’s life savers. God knows, we need to be reminded that. This week’s footnote goes to Peter, the Malta Customs sniffer dog who last Monday caught a traveller at the airport with a stack of €26,000 in his suitcase, hidden in his underwear. Here’s a little note of praise to the Customs officers and in­spectors and their clever canine helpers who work hard to fight money laundering.